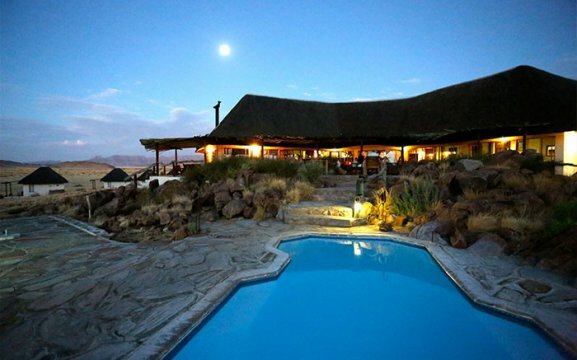 The Desert Homestead Lodge is situated in a private nature reserve close to the Unesco World Heritage Site “Namib Sand Sea” with a wide grassy valley that’s sheltered by the Nubib, Tsaris and Naukluft Mountains. It features impressive panoramic views from the main house set on a hill and all the chalets. Our main area has a restaurant, bar, library, lounge with a television and also a swimming pool. We offer laundry service, curio shop, Visa and MasterCard facilities and also free Wi-Fi. 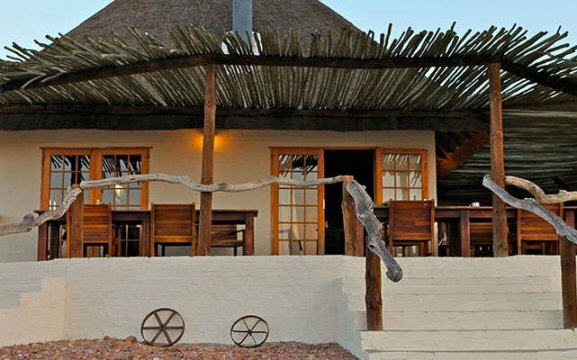 Our lodge uses solar power for power generation and water heating. On our veranda guests can relax and enjoy their meals with a candle-lit dinner. 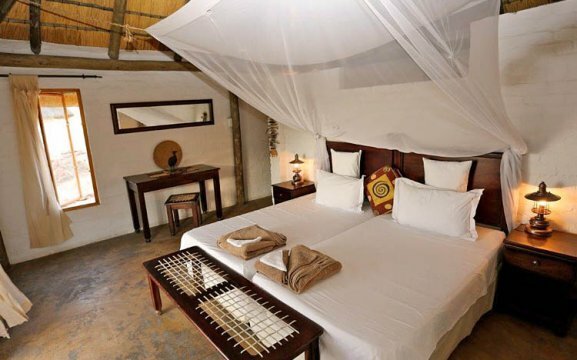 Our lodge is thatched and has cream linens, colonial-style dark wood furniture that offers a cool oasis with an old world charm. Each window opens to an endless view of impossible amazing desert scenery. 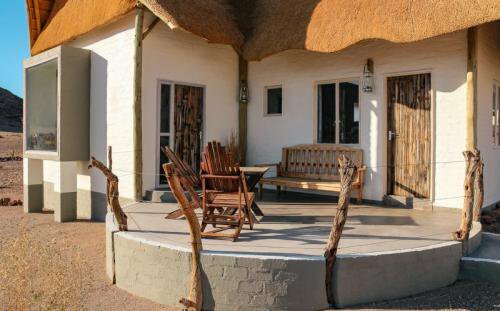 Our 20 thatched rustic chalets feature private shaded sun decks, mosquito nets, ceiling fan and en-suite bathroom with free toiletries. 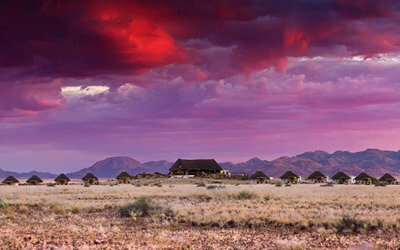 Activities at the Desert Homestead Lodge include guided trail rides in the cool morning hours, Balloon rides, Namib Mountain Trails, self-guided hiking trails, Naukluft excursions, Sossusvlei excursions, sundowner drive and sunset rides. Guests will have tea, coffee and biscuits on the sunrise and sunset rides. 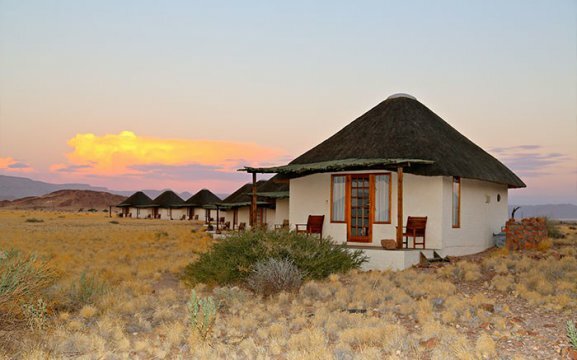 We also offer a 5 day package to Sossusvlei and the Naukluft Mountains. 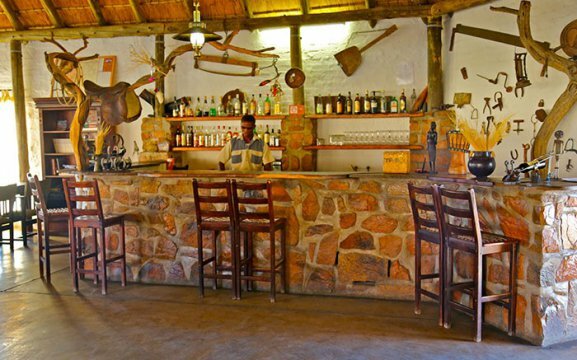 There are self-guided walking trails and sundowner drives into the beautiful Kulala Wilderness Reserve. 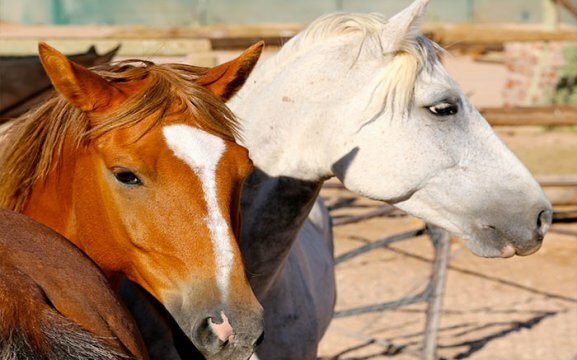 We are known for Horse-back activities.